There are so many awesome things available to purchase for friends or family it's just a little gesture of saying… you are awesome and I appreciate you! Me tooo, i am inlove*... sigh! I am asking for new makeup brushes too! Great list! I just found your blog and I love it! You are so creative. Definitely following. Feel free to check out my blog and follow back if you like. I love your choices. Those shoes are so gorgeous! 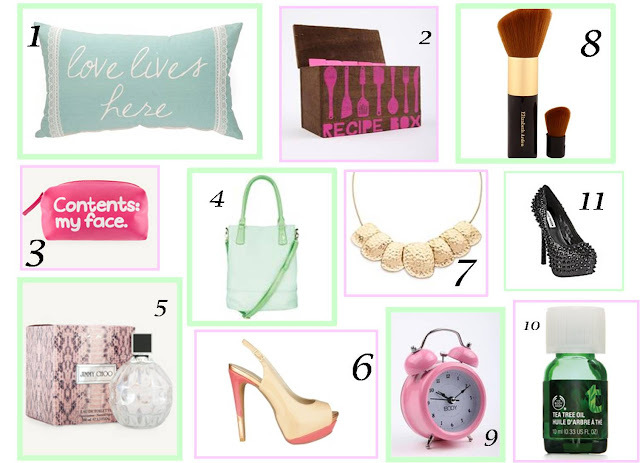 love these gift picks!! and what a great blog! just found you! so glad i did! now following on gfc! would love for you to follow back!